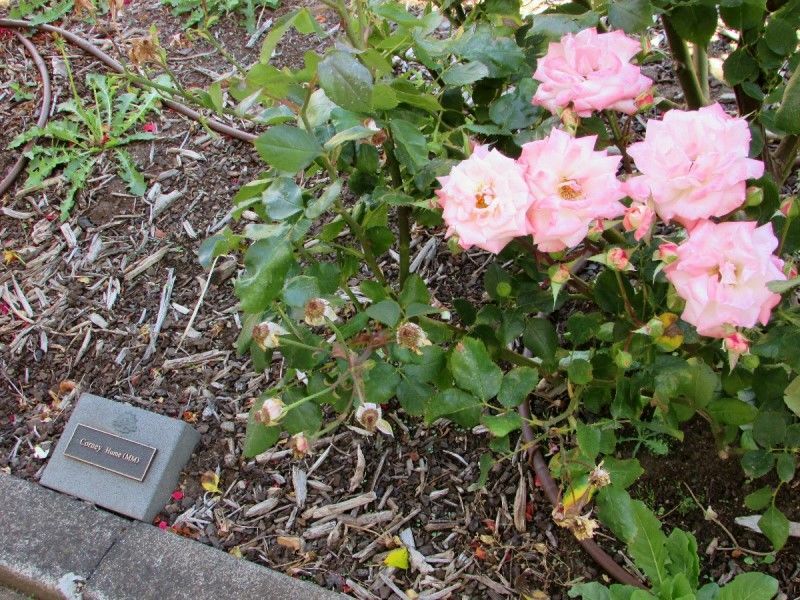 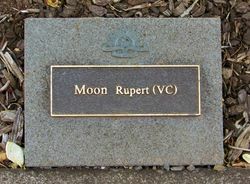 The War Memorial Rose Garden commemorates the former students and staff members of the Kyneton Secondary College who enlisted in the First World War. 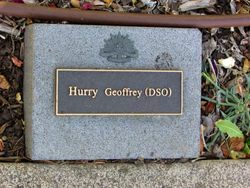 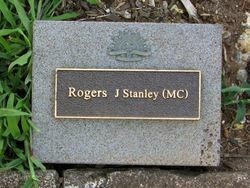 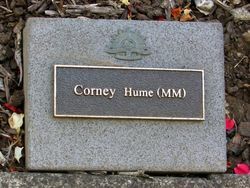 Funding was received through the Anzac Centenary Grants Program for the erection of plaques and plinths in memory of those who served. 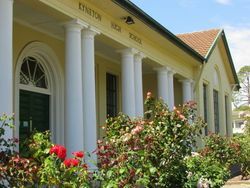 Note: Kyneton Secondary College was formely known as Kyneton High School. 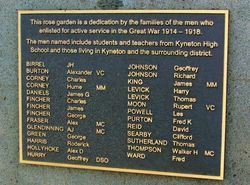 The men named include students and teachers from Kyneton High School and those living in Kyneton and the surrounding district.